Novel fluid gel eye drop formulation allows sustained topical delivery of the natural anti-scarring agent decorin straight to the corneal surface, to decrease scarring and promote healing without surgery. The findings of the study are published in the journal Regenerative Medicine. The current standard of care for eye infection are eye drops containing antibiotics and corticosteroids to reduce inflammation, followed by intensive lubrication to prevent further damage to the eye during blinking. These treatments effectively sterilize the eye, although some patients are left with visual 'hazing' due to scars on the cornea. The only option to correct this is costly and cumbersome surgical interventions, such as corneal transplants, which are fraught with risks of failure or rejection. Dr. Richard Moakes, also from the School of Chemical Engineering explained: "We are now continuing our work to test and refine the formulation for this novel anti-scarring eye 'bandage.'" 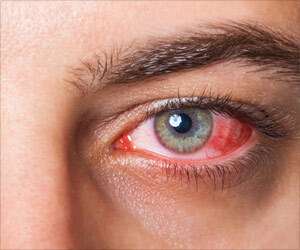 Neonatal conjunctivitis occurs in newborn babies during the first month of birth. It can be caused by bacteria, virus or under aseptic conditions.